GM made headlines earlier in the year when the company had to recall an industry record breaking amount of vehicles. The company has gone through various congressional hearings and has sent a ton of money in rectifying the mistake of the past. A faulty ignition switch which has linked the company to 23 deaths and a number of serious injuries continues to haunt owners and their vehicles dating back almost two decades. There are still over 1 million GM defect ridden cars still driving on the road today. The first recall made by GM was first announced in February of 2014. Upon the notifications of the severely delayed recalls being issued the company not only saw its brand name tarnished over the lack of an acceptable response time in addressing the issues, but also saw unwanted media attention and congressional attention. Various employees including the safety and design engineers that okayed the defective parts were immediately fired from their jobs. In all about 2.4 million vehicles were recalled spanning over nearly two decades worth of various GM brands affected across the board. The main concern early on was a faulty ignition switch that had the tendency to lead to other failures in the vehicles. While in motion the vehicles affected may have experienced the cars to shut off while being driven. Adding to those concerns were the disabling of the air bag, power steering and the total failure of the anti-lock brakes. GM admits that roughly 48.5 percent of all the vehicles that were recalled are still driving on the road without having the necessary fixes made. Even though the recalls were issued in February, the actual repairs on the vehicles hadn’t started until April when the replacement parts were made available. A GM spokesman named Alan Adler has been quoted in saying that “Fixing more than 1.1 million vehicles in [six months] is a Herculean accomplishment for the supplier making the parts, the logistics people getting them to the dealers and the dealers fixing vehicles.” GM has noted that many vehicles owners often ignore recall notices that are sent out in the mail because the customer believe that it is nothing more than mere junk mail or that the manufacturer or dealership is baiting so that unwarranted service can be performed. Many believe that one would have to be far detached to believe that the customer would ignore a recall of this magnitude concerning the GM brand with all of the media attention brought upon the company in recent months, however stranger things have happened. One of the biggest reasons that customers may choose to ignore certain recalls is due to the fact that one tends to have to go without their vehicles while it is being repaired which when set against the flailing economy does not bode well for most. GM has made loaner cars available to customers that either do not feel safe driving their recalled vehicles or need transportation. In the eyes of the customers this type of coverage should be standard due to the scale of the recalls. The company feels that so far it has done a great job in alerting the customers of their products and will continue doing so until ever defect is resolved. GM has admitted that there are still roughly 1 million vehicles that have active recalls issued on them driving on the roads that have yet to be fixed, but those replacement parts will be available to the last of the dealers nationwide by the end of the month. While many of the more well known cars that have been affected since February, many customers who drive similar cars within the same brands may have kept a blind eye towards some of the recalls. Some of the other affected models are the Pontiac Soltice, G5, and Pursuit; The Saturn Sky and the Chevrolet HHR which has seen some fires igniting in the cabins of the cars. The company has advised that drivers of the vehicles affected to take all unnecessary keys off of the key rings in order to decrease the amount of friction which might cause a fire to combust. While it is horrifying to think that there are still over 1 million defect affected GM cars still on the road, one can take comfort knowing that GM is aware and doing what they can to quickly resolve the current safety lags. Many in the industry are still reeling back from the industry record breaking amount of affected brands and number of cars recalled by a manufacturer in less than a year. However, while GM has and is being corrected for their lack of safety it is important as the owner and operator of these defected vehicles to get them fixed and serviced as soon as possible. The midsize truck market as early as five years ago gave the market nine midsize truck models for consumers to choose from. In the five years since then, there has been more of a reduction in the amount of models available to the consumer market leaving only three models. Partly due to the high cost of fuel and partly due to buyer patterns many auto manufacturers have decided to cut their midsize pickup trucks out of the market altogether. With the addition of shrinking profit margins and brand loyalty slowly dying; a new question has been born. Why would GM invest in producing a midsize pickup truck again? Many of the car and truck manufacturers have reported that due to consumer behavioral patters the market for the midsized pickup trucks had in essence killed itself off. The theory on that understanding of why the midsized truck market might have died on its own isn’t far from the implausible. In short, many of the smaller trucks cost just as much as their larger counterparts and haven’t gotten much better fuel economy for their smaller size and lack of room. Many of the car and truck manufacturers like Ford have stated that there isn’t a need for the smaller pickups to be produced and sold in the U.S. because for roughly the same price point the consumer can get everything in the bigger pickup that they’d look for in the smaller one. It is due to this thinking that many of the manufacturers had essentially walked away from the midsize pickup market, one that GM feels it is time to reinvest in again. GM has brought their version of the midsize pickup with some extra punch. The trucks are giving the consumers a run for their money with better fuel consumption than Toyota and Nissan for the same amount of money. The 2015 GMC Canyon and Chevrolet Colorado are only now just beginning to hit the dealership showrooms. GM is confident that both of their midsize pickup trucks will do well in the market that has been starved out for lack of choices. Currently the biggest selling midsize pickup trucks are offered by Toyota and Nissan and are dated in themselves. What GM has brought to the table has better fuel economy and an almost SUV like body. Jeep had coined the term when the company was looking at the possibility of turning the wrangler into a “lifestyle” pickup truck and that is exactly what the new GM midsize pickup trucks are going to function as. Many midsize truck enthusiasts agree that a smaller pickup truck fits more needs for the average commuter than the larger pickup trucks have allowed. The midsize pickup trucks would allow daily commuters the ability to utilize the bed in their pickup truck on weekends or days off where traditional SUVs and larger pickup trucks fail many consumers. The two new midsized pickup trucks have been marketed and advertised well; a sort of comeback into the market where two import companies have been selling almost unopposed by American manufacturers. Both trucks are offering up the tradition of GM’s long lasting quality but with some consumer attracting refinements. The trucks originally were offered with a choice of either a five or an eight cylinder engine. The new trucks are being offered with fuel saving technology in better performing four and six cylinder engines offering 200 horsepower. The engines are delivering roughly 20 miles per gallon city and up to 27 miles per gallon highway. The interior to the trucks have been upgraded with touch screen displays and leather seating and accents. The truck overall offers some of the best attributes that have been seen in both import models. The bed offers tie down cleats that have been seen in the Frontier. The cab of the truck has taken on an SUV like body as was seen with the Honda Ridgeline and the Ford Explorer Sports Trac. The truck has available remote start and USB ports for iPod and Bluetooth capable software. Available options that GM feels will give their trucks the winning edge over that of the current midsize market has to offer. GM’s new midsize trucks are soon to hit dealerships where the consumer market can purchase what has long been anticipated for rebirth. The smaller trucks are finally he first of the new wave in the industry offering consumers a better price point with better fuel economy to back up the anticipated sales. GM hopes to regain customers that Ford and Ram have abandoned within the small truck market as well has their own customers that have been looking for a capable and affordable midsize pickup truck. Cadillac has announced that starting January of next year, the 112 year old luxury car manufacturing division will be moving its corporate headquarters from Detroit to New York City. The move will be part of the company’s effort to relocate to its best sales market in order to better address the needs of their customers. The city that never sleeps will become the new home to the brand which has in recent years been losing sales to its more premium German competitors. The company has already been eyeing up a loft office in Manhattan’s SoHo neighborhood. 2014’s Car Sales in the U.S. In the U.S. the Cadillac brand isn’t performing as well as one might think. 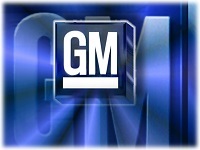 The brand is part of the General Motors family which also includes Buick, Chevrolet and GMC. Despite the brand having positive industry reviews on many of its cars which include the CTS, ATS and the brand new XTS, sales for the brand have fallen by 5 percent. Globally the brand is doing quite well with an overall 10 percent jump in sales. However U.S. sales have become the focus of the premium market as foreign manufacturers are currently in the lead with sales for this year. So far this year premium car sales have doubled over that of the non-luxury sales. Audi’s sales are up 15 percent, BMW sales are up 12 percent and Mercedes-Benz sales are up roughly 9 percent. Even Toyota’s luxury brand Lexus is up 16 percent in U.S. luxury sales, the same market where Cadillac is missing out on these percent increases. For a brand that has been owned and operated out of the same city for the duration of its existence has many wondering why Cadillac is leaving the once great motor city for the bright lights and attraction of the big apple. Johann de Nysschen which is the company’s new brand president has stated, “There is no city in the world where the inhabitants are more immersed in a premium lifestyle than in New York….it allows our team to share experiences with premium-brand consumers and develop attitudes in common with our audience.” In essence it would seem that the brand is taking the old adage of “follow the money” to almost a literal tense. Perhaps it is because NYC offers the current best sales market for the brand, that its upper management feels that a move to that area would be the best chance the Cadillac brand would have to compete with other premium brands. 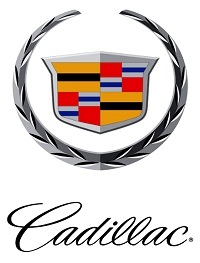 Cadillac which is a brand that has been one of the staples of American luxury for decades is trying to regain its glory days by moving the company executives and brand marketers to an area that has seen much more wealth than Detroit over the same period of time. The company believes that the move will help them to better assimilate with the needs of their consumer base which as a reflection of dropping sales numbers the company has been suggesting that they have been failing in doing. Cadillac spokesmen have already been quoted to saying that it is only executives and marketing staffers that will be making the move in the coming first phase. The company is still committed to producing their vehicles in their existing plants which include Michigan, Texas, Mexico, China and Canada. This isn’t the first time Johann de Nysschen is moving a brand’s headquarter office to a new location. In fact, he has not only done it in the past but to just about every brand he was worked for. In 2007 he was the head of the Audi U.S. division and oversaw the transition of that relocation from Detroit to Virginia. Again in 2012, he took over for Nissan’s Infiniti luxury brand which was moving their headquarters office from Japan to Hong Kong. While the brand struggled immediately after the move, de Nysschen helped the brand introduce new products which ultimately allowed the company to see a 30 percent increase in overall sales within the first half of the year. Cadillac’s move to New York wouldn’t be the first time an American based manufacturer left Detroit. In 2011, Ford’s luxury brand Lincoln left Detroit for Hudson Rouge, NY in hopes of refurbishing the brand to meet the needs of it base consumer market. In terms of domestic competition Lincoln and Tesla are the two biggest competitors with Cadillac. Lincoln especially since both Lincoln and Cadillac can trace their foundation to the same man, Henry M. Leland who founded Cadillac in 1902 and Lincoln in 1917. Cadillac hopes that the move to NYC will help the brand to give it more of an edge over its foreign competition and become more appealing to an economic hub that tends to revere luxury and a better driving experience. It will be interesting to see how consumers react to the brand in the coming months and soon after the first phase of relocating are initiated. As a whole for the auto industry, 2014 has been a year of shattering records when it comes to the amount of vehicle recalls by the various manufacturers. On Thursday, Toyota Motor Corp. announced that it was recalling 140,000 of its Tundra CrewMax pickup trucks. The reason being that there is a possible defect with the side curtain airbags due to faulty instillation. Just like General Motors, Toyota and many other manufacturers have been early to jump at any recalls in order to avoid any catastrophic accidents or loss of life that has been seen due to the negligence of other companies in recent years. Upon the announcement of a giant recall by Toyota, consisting of 140,000 Tundra Pickups with a possible faulty instillation of its side curtain airbags. The part that was incorrectly installed, the center pillar garnish which is the plastic covering that sits between the front and rear doors, may interfere with the deploying and inflation of the side curtain airbag. This defect would stop the airbag’s capability to properly shield the passengers from the impact or subsequent fragments caused by impact. Luckily the issue is only limited to the 2014 year model of the Toyota Tundra. Of the 140,000 Tundra’s recalled, 130,000 of them were sold in the U.S. and the remaining 10,000 were sold in Canada. Toyota has as of the earlier part of the year recalled more than 6 million vehicles worldwide due to different faulty airbag issues such as non deployment issues and problems with the airbags throwing shrapnel into the cabins and killing occupants. According to industry sources, of the 6 million recalls earlier in the year, only about 1.3 million of those vehicles were sold in the U.S. 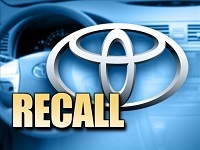 The most positive information to be released on the subject is that this recall by Toyota is completely voluntarily. There have been no reported injuries, deaths or accidents due to the nature of this defect. That being the case, Toyota is showing the consumer market that while a defect may exist or even an oversight in the quality control process – Toyota is committed to the safety of those driving their vehicles. In 2013 the National Highway Traffic Safety Administration (NHTSA) announced a recall for Toyota’s Tundra trucks in 2013 for a separate yet equally terrifying defect. Due to the NHTSA the 2013 Tundra’s had a tendency to have the wheels of the trucks break off whilst the truck was driving in motion. According to the NHTSA, it is the lug nuts for these trucks that need to be replaced in an effort to rectify the issue. The airbag issue with the lack of proper inflation just announced by Toyota has yet to make its way to the NHTSA’s website. Currently all of the defects are only affecting the Tundra pickup trucks and have not affected the smaller yet ever more popular Toyota Tacoma pickup trucks. As of now, the Tacoma sales are down by as much as 7 percent when compared to last year. To date there have only been 102,736 Tacoma tucks sold this year, since the introduction of a model redesign. The last time the Tacoma was redesigned was in 2005 when the second generation of the vehicle had been released into the market. 2014 is not quite over but that hasn’t stopped the current vehicle recall numbers from reaching ever higher. The current count to date between all the vehicle manufacturers is about 46 million vehicles worldwide. Of that 46 million, General Motors is accountable for roughly 29 million vehicles. 2014 has effectively shattered what was the current world record of vehicle recalls that was set in 2004 with a total of 31 million vehicles recalled in a single year. General Motors has become the poster company for vehicles recalls and many companies are trying to avoid gaining that similar reputation. Even with the massive amounts of recalls being issued by General Motors which have affected vehicles dating back almost two decades, the company has seen one of their best sales years in under a decade. As competition grows among the various performance and fuel efficiency wars going on, many companies have been quick to react to issues with their vehicles. Not everyone will have the selling success that General Motors has experienced in the wake of their staggering recalls. Toyota has had some pretty serious issues in the past concerning the performance of their airbags both deploying and contributing to safety of the occupants of their vehicles. 2014 may go down in the record books as the year of the recall, but there is still much work to be done by General Motors and by Toyota. Both companies are leaders in their specialty categories when it comes to selling reliable vehicles and both companies would like to remain that way. Auto sales have been rising in recent months as the great recession is in itself receding throughout the world. Global sales have begun to rise for many companies that have historically been able to produce a cheaper vehicle that is reliable and easy to maintain. In the US, traditionally General Motors and Ford have remained the favorites, however Toyota has made a clear push towards success. Toyota has been a world leader in auto sales for years and while Volkswagen has been pushing to gain Toyota’s position, Toyota has not only been able to hold on with high sales and solid stock value. Toyota is the number one global auto seller out beating every other auto manufacturer. One of the biggest reasons that Toyota has been so successful over the years comes from the reliability of the engineering behind some of the most affordable vehicles. As of August the car manufacturer had sold a whopping 246,100 vehicles which came out to about 20,000 more vehicles than the company had project for yearly sales up to last month. With a 6.3 percent rise in sales, the company has shown investors that the company is not only driven towards attaining longevity in the current market, but to the standard which has become a market favorite. The name Toyota has over the last few decades become somewhat of a household name. Many of the brand’s cars that are on the road today have been on the road for the last 20 years. With a product that is not only cost effective on the sticker price, but has been able to maintain its value throughout the various owners. Since the economic decline both in the US and worldwide, the used car market has been selling the previously owned vehicles at a premium which had in itself hurt the new car market. Toyota was able to combat those sales trends almost immediately because of the rather low price points for their cars. Used and new Toyota’s were coming out close to each other in retail cost, and with the help of Toyota brand incentives the brand was able to avoid what many of the other brands had gotten sucked into – a lack of sales. One of the reasons that Toyota has been able to remain afloat in the current market is the fuel efficiency of the bulk of their models that are offered amid the higher fuel prices worldwide. One of the most successful models sold by the company are the various levels of the Toyota Prius which averages at the low point of 30 miles per gallon or better. The Prius has been noted as not only one of the most fuel efficient vehicles currently on the road as of today, but has set a standard for many of the vehicles it competes with, which has arguably become that catalyst for other brands to jump on the stylish car yet fuel efficient engine race. Toyota’s shares closed yesterday at $116.05 which many industry analysts have said is rather strong for a well established and publically traded company. Many stock analysts have gone on record promoting the stock under the conditions that it stay above 105 dollars. Should the stock rise above 120 dollars, the company feels that the growth in sales will only help slingshot the company into their year’s end goal of a price per share of 165 dollars. Since the company has been able to maintain upward sales, many feel that the company will not only reach its goals but will be able to gain new investors. Toyota is very enthusiastic of how the year will end sales wise because of the fact that sales are already up 6.3percent over last year alone. Industry experts believe the company has the growth potential of upwards of 10 percent just in for the end of this year. Those same experts have already begun to speculate the growth for Toyota for the following year, stating the company has the potential to grow over 13 percent for the following year. Many experts have been paying close attention to the slow but gradual growth of the Toyota Motor Corporation. While gradual on many levels, the stock has seen some significant jumps in value in a short bursts as well. Due to the nature of the company and the continual growth both on the stock exchange and the continuous growth of their global auto sales, Toyota remains one of the strongest manufacturers currently producing. Their commitment to fuel efficiency, safety, and affordability has set Toyota up as one of the more profitable and popular auto manufacturers in our modern time. The company remains to continue its arc of progression as the leader in global sales which keeps the company worth taking a look at watching the stock grow.